A defining business and sustainability challenge of the 21st Century will revolve around the ingenuity of industry, governments, cities and communities to finance new, advanced, and resilient infrastructure promoting a low environmental and carbon impact for sustained, equitable, and diversified economic growth. Addressing that challenge will require a huge influx of capital utilizing new investment sources, modalities and mechanisms. 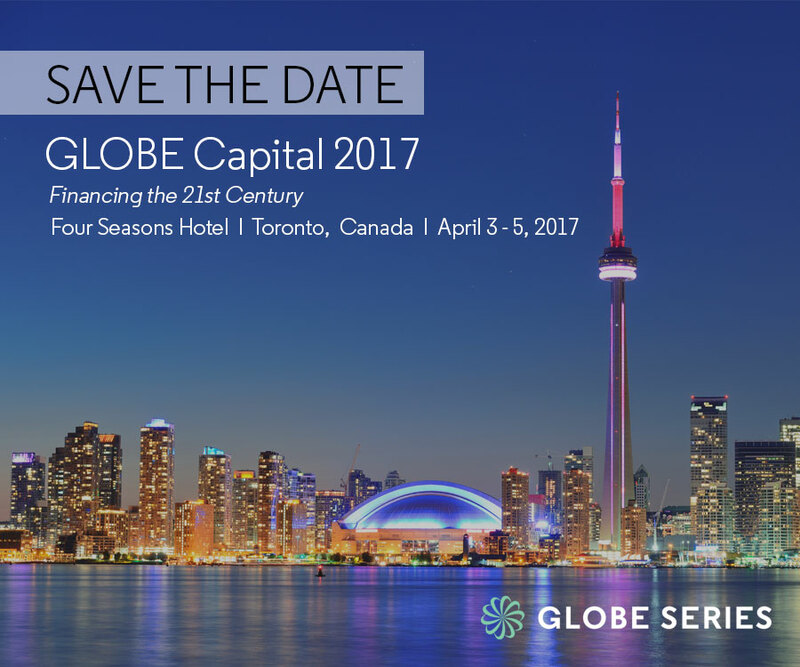 GLOBE Capital 2017 is a new event offered by GLOBE Series that engages and empowers economic leaders to shape Financing the 21st Century through future-oriented, environmental-value generating and innovation-focused idea exchanges and interactions. Stay tuned as we’ll be making more announcements shortly. If you haven’t done so, subscribe to our newsletter to receive future updates.